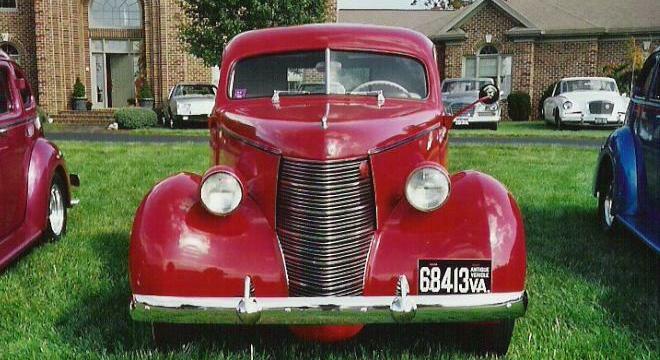 This beautiful 1938 Studebaker Coupe Express belongs to Chester Bradfield, who owns and operates Good Printers, which is located in Bridgewater, Virginia. 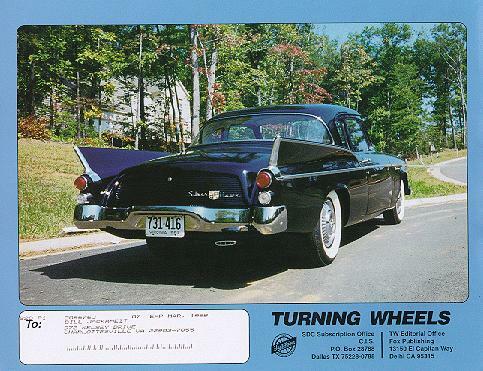 Good Printers is the long-time printer for Turning Wheels, the Studebaker Drivers Club monthly magazine. 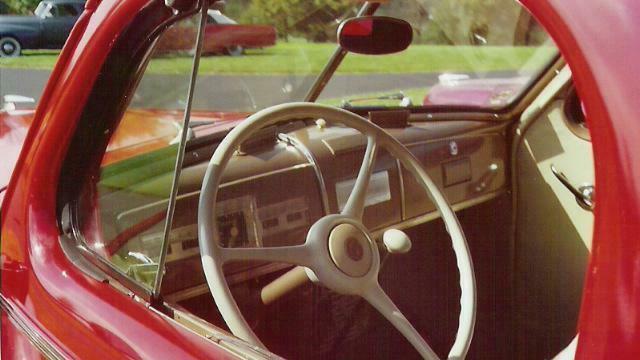 Chester also has an interest in post-war Studes, and his 1951 Commander Convertible was Stude of the Month on this page in September 1997. The truck was a "basket case" that was found in Parsons, West Virginia. A full frame up restoration was done by Bud Rogers. 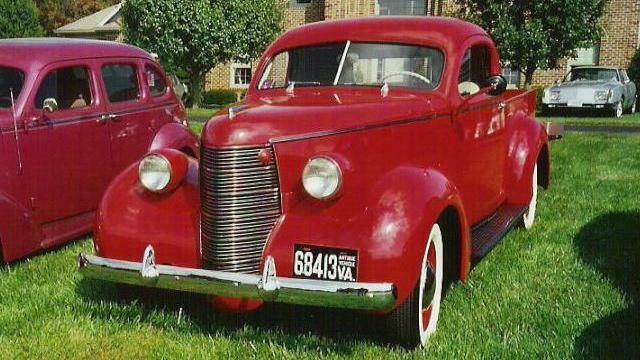 Studebaker produced the Coupe Express from 1937 to 1939. These pictures were taken at the October 2003 Greater Virginia Chapter Fall Meet hosted by Chester and Nancy Bradfield at their home in Bridgewater, Virginia. 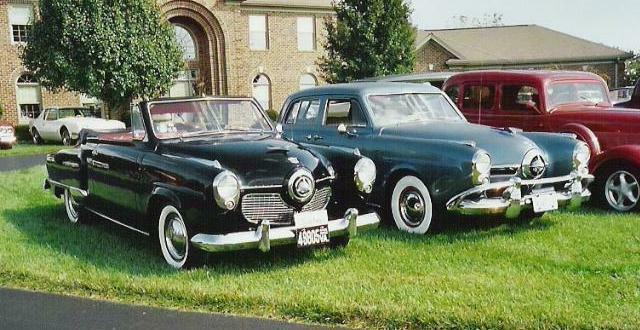 The weather cooperated, and numerous Studebakers and other vehicles were on the grounds. This is a beautiful place for a car show, with green lawns and mountain views. 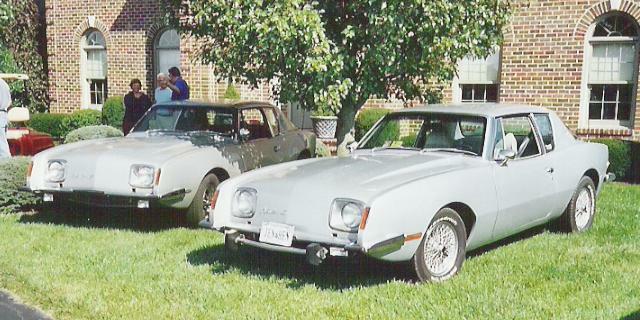 A big "thank you" to Chester and Nancy for opening their home to area Studebaker fans. I'll include additional pictures from this event with the next update. This is the third in a series of pictures that was sent in by Daniel Minchen. Daniel indicates that the pictures were taken along Route 31 East near Uno, Kentucky. He describes his find as a "crop of rusting Studes sitting in the shadows of a Kentucky tobacco field." 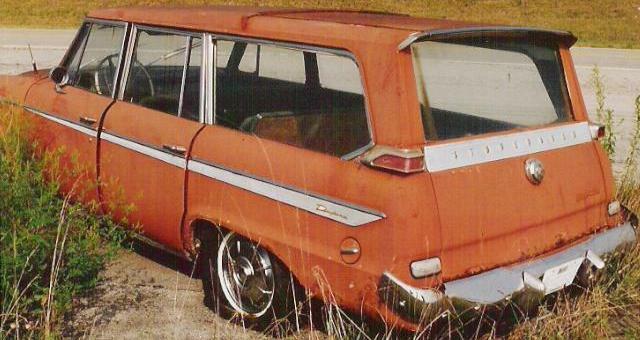 This shot is of a 1963 Daytona Wagonaire with sliding rear roof panel. Come to think of it, isn't General motors hyping a sliding rear roof panel on their new GMC Envoy SUV? Thanks to Daniel for sending along a fine group of junkyard pictures. Photo by Roger Bass sent in by Bill Junge. 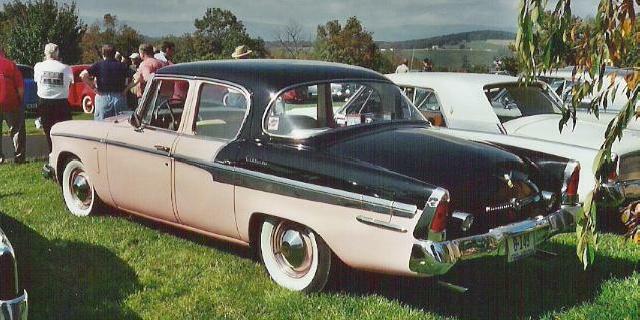 Bill has his own web site called Bullet Nose Paradise which is dedicated to 1950 and 1951 Bullet nose Studebakers. Thanks again to Bill for helping to keep this page in new material. Dave Kleylein sent in this black and white picture of a 1942 Studebaker Champion. 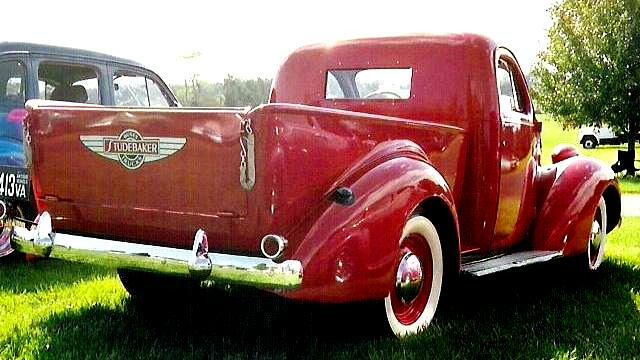 This was the first car that Dave ever owned. The picture was taken in South Florida around 1962. 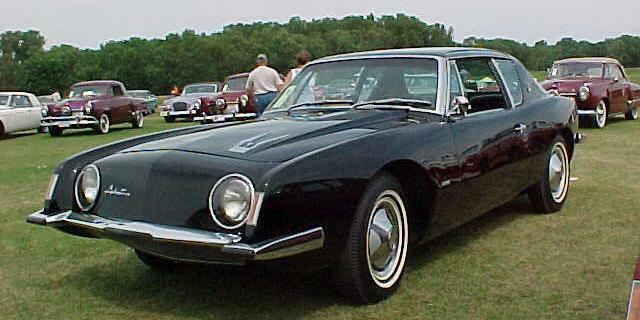 Studebaker produced 29,678 Champions in 1942 before switching to military production. The feature toy this month is a rare version of the Dinky Toys DY24 1955 Studebaker Commander Starliner Hardtop. 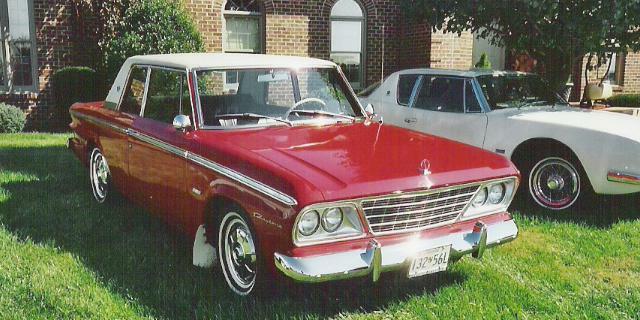 Only a few late production models were made with the side flash painted to match the roof. This one was bid up to $321 on eBay some time back, but the reserve was not met. More toy Studes can be found in the Stude Stuff area of this page and on my Studebaker Toys Home Page.